One of the most successful riders in Swedish equestrian sports, Patrik Kittel, has been appointed as ambassador of the Gothenburg Horse Show 2016. Patrik has been the reigning Swedish champion in dressage for the last three years in a row and is also ranked tenth in the world. ‘It is an honour for us to have Patrik as a representative of our competitions in Gothenburg,’ says Tomas Torgersen, Competition Director of the Gothenburg Horse Show. 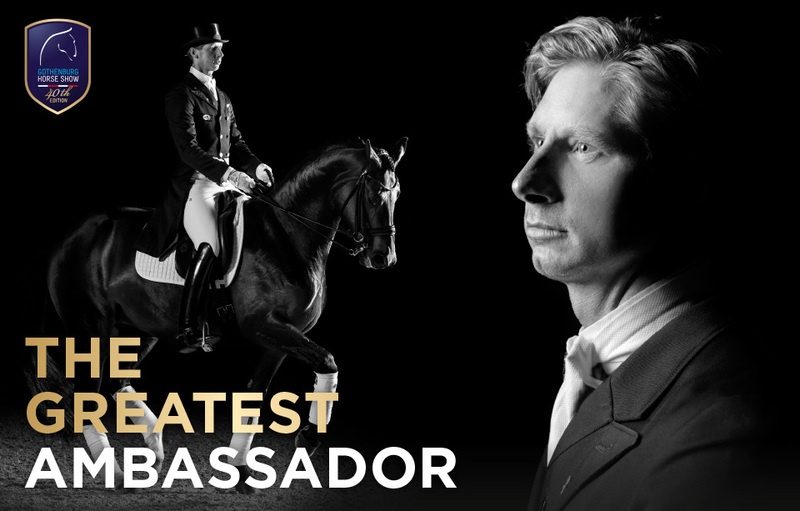 As the ambassador of the Gothenburg Horse Show, Patrik Kittel will play a vital role. Apart from being the competitions’ “public face”, he will also be reporting from competitions across Europe and sharing moments from his day via social media. ‘I have many happy memories from the Gothenburg Horse Show over the years, so it feels natural to assume the role of ambassador - and of course, it’s a real honour. The competitions are at a world class level and are of great importance in securing Sweden’s position in the equestrian world,’ says Patrik Kittel. As in previous years, the Gothenburg Horse Show 2016 is focussing on giving young riders the opportunity to compete in a top-level arena in front of a big crowd. Patrik Kittel started riding when he was 11 years old and had ambitious goals even at the very beginning. is an important step in order to be successful in equestrian sports,’ says Patrik Kittel. Hopefully, Patrik will qualify for the world cup final which will take place at Scandinavium on 24-28 March, but he will be there no matter what representing the Gothenburg Horse Show, where he will be participating in a number of exciting activities. The Gothenburg Horse Show is organised by Got Event, the City of Gothenburg’s events and arena company, which operates ten arenas in Gothenburg, including Scandinavium.